This highly-modern table and chair is ultra-classy, but the clear glass adds a light and airy sense of summer. 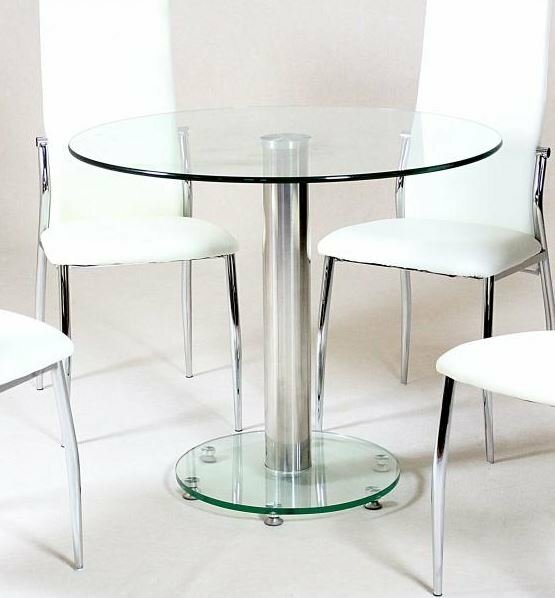 A sleek, clear glass table top with chrome central column is sturdy whilst retaining space and simplicity. To best complement your dining table with stylish chairs, please browse Alonza range chairs available in different colours.